If you are an individual entrepreneur or a representative of a legal entity, you can benefit from the shopping centre of METRO Cash & Carry. METRO cash & carry wholesale company, working under contracts with individual entrepreneurs and legal entities. Client cards for individuals are not issued. documents to confirm business activity - copies of the certificate of registration in the unified state register of individual entrepreneurs (for individual entrepreneurs), the certificate on the tax registration and INN assignment, the passport entrepreneur (page with photo, name and address of registration); power of attorney (original) of the established sample to persons who have the right of transactions on behalf of the PI, signed by PI. Take and read the terms and conditions of purchase at METRO Cash & Carry. Assure them the company if you are a representative of a legal entity.METRO sells goods to customerm (cardholders METRO) or the customer's representatives, the private shopping center for the wholesale trade only for resale in the retail trade or for professional use. Go to the nearest shopping center METRO. Customer card is issued to all of the shopping center METRO cash & carry. It is free and immediately gives you the opportunity for shopping at the Mall. You can get additional maps customer METRO, but it only happens in TC METRO, which was registered by the company. Allowed clearance for the organization no more than five customer cards. If the company preregistered, you should provide all the previously issued cards. 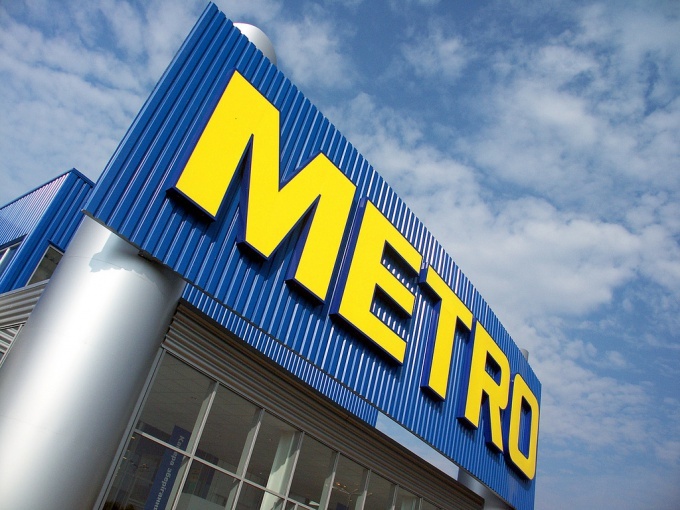 METRO Cash & Carry does not produce the registration card of the client through a third party that provide this service for a fee, as well as via the Internet. Cards that have been issued any other order that is different from the conventional company METRO shall not be deemed valid and, as a consequence, such customer cards are blocked and removed from circulation.